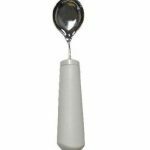 The Youth Weighted Left Hand Teaspoon has a weighted handle and a fixed 45 degree angle teaspoon. 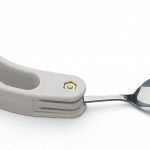 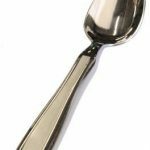 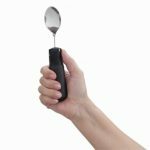 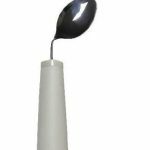 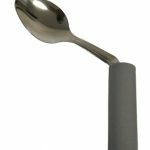 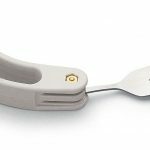 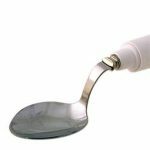 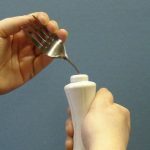 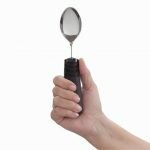 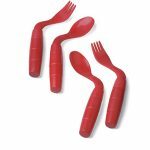 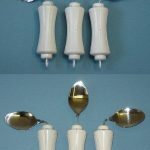 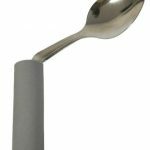 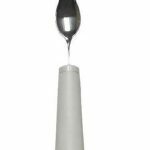 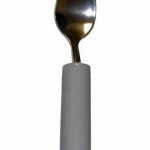 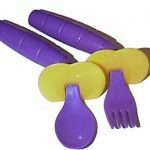 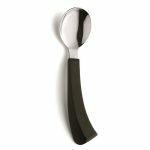 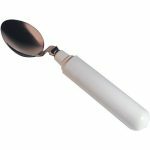 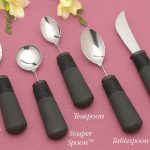 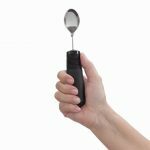 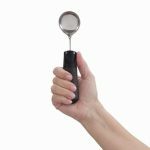 This adapted teaspoon is designed to help promote self feeding for children who need additional proprioceptive feedback. 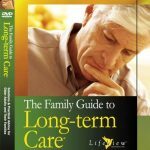 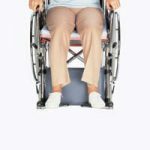 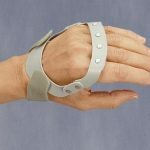 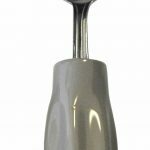 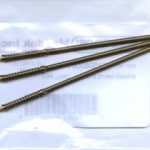 Four ounces of added weight in the handle helps stabilize hand tremors or shaky hands. 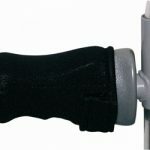 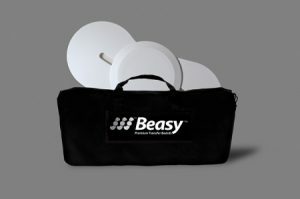 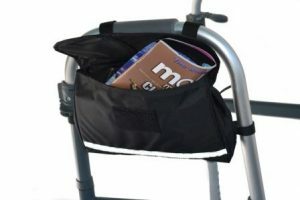 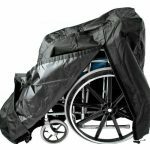 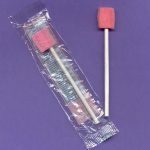 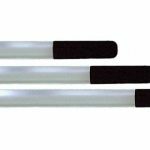 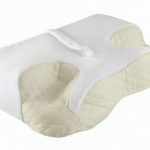 The built-up handle with textured vinyl provides a non-slip grip and is shaped to fit small hands. 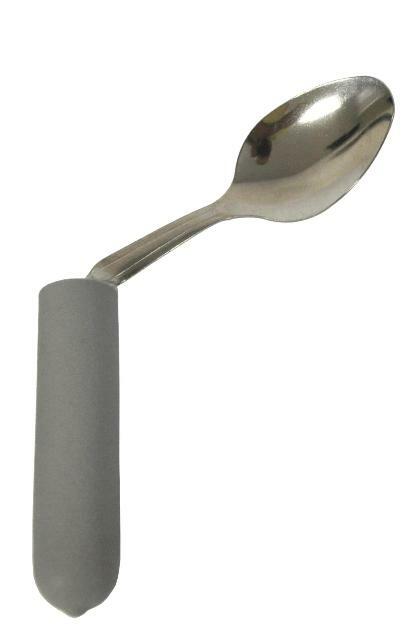 This spoon is positioned for left hand users and is shaped to turn in toward the center of the body. 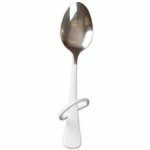 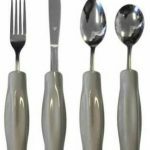 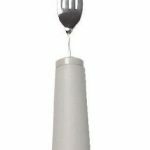 The Youth Weighted Left Hand Teaspoon is dishwasher safe.Youth Weighted Left Hand Teaspoon Specifications: Handle diameter: 7/8 inch.Handle length: 3 ¼ inches.Weight: 4 oz. 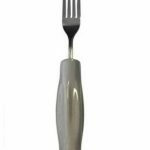 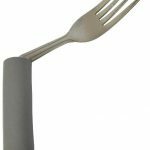 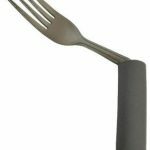 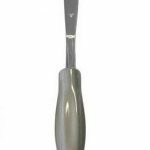 Color: gray.Material: stainless steel with textured vinyl coated handle.Angle: Fixed 45 degree for left hand.